Elmer Crow waits patiently while a crowd of fifth-graders settles on the lawn outside the Morrison Knudson Nature Center in Boise, Idaho. One by one, the students stop squirming as they realize that the Nez Perce elder is watching them, hands folded behind his back. Crow’s face is solemn but his eyes are playful. The students stare up at him expectantly. “Am I supposed to do something?” he says finally, pokerfaced. The kids sit frozen. Crow puts his hands on his waist and grins, wiggling his hips in a little dance. “How about that?” he says, pausing for effect. The students erupt in giggles. Crow laughs, too, his leathery wrinkles deepening. 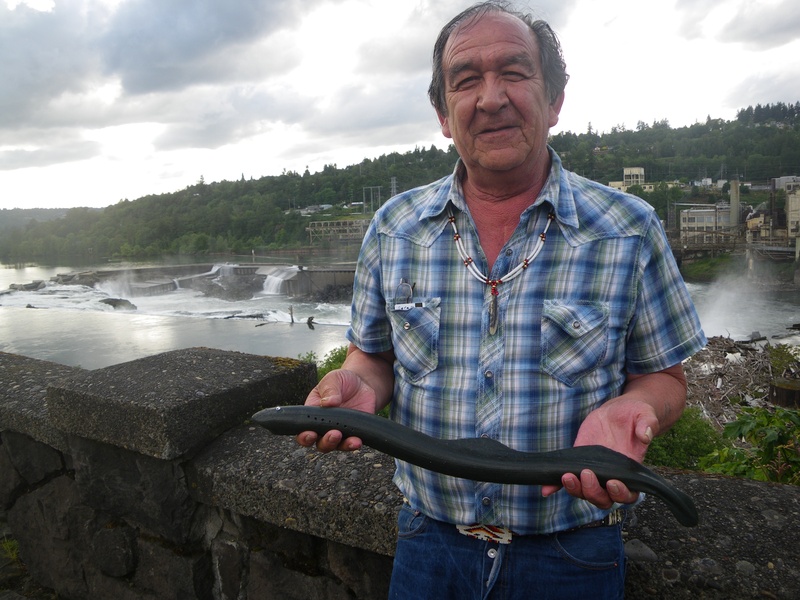 Then he reaches into a canvas bag and dramatically produces the star of the show: a three-foot-long brown rubber lamprey. The students respond to the snake-like fish with squeals of disgust. This entry was posted on February 9, 2011 by amandapeacher. It was filed under Uncategorized .